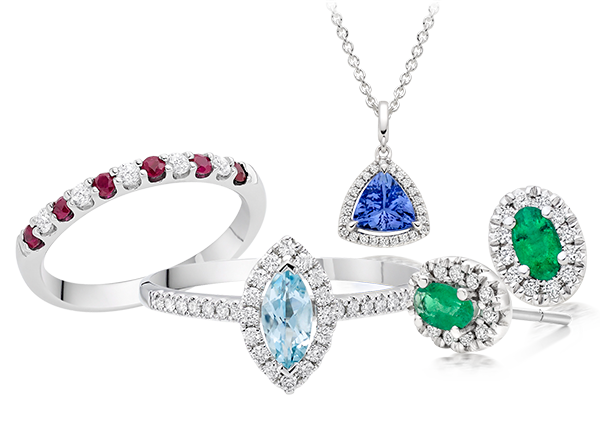 Meaningful and personal, birthstone jewellery makes a perfect gift for birthdays, anniversaries and special occasions. This guide takes you through the history, meaning and science behind the birthstones of each month, as well as how to care for them. Imbued with mythology, the origin of birthstones can be traced back to ancient times – when 12 stones were associated with the 12 signs of the zodiac. The list of birthstones as we know it today was created in 1912 by the National Association of Jewellers in America. Legends speak of the healing, protective powers and spiritual symbols of each birthstone, and it’s believed that wearing a birthstone during its assigned month heightens these powers. Created in 1812 by scientist Friedrich Mohs, the Mohs hardness scale rates 10 minerals based on the ability of one mineral to scratch another, 1 being the softest and 10 being the hardest. This scale gives you an idea of how hard other gemstones are, including the gemstones mentioned below. Most commonly a deep red gemstone, January’s birthstone garnet makes a beautiful gift for January birthdays. Deriving from the Latin word ‘granatum’, meaning seed (due to the resemblance to a pomegranate seed), garnet jewellery dates back to early Egyptian, Greek and Roman times. It was very popular in Victorian jewellery, giving it a regal and sought-after status. Garnet symbolises friendship, power and happiness. It’s also said to protect the wearer during travel and give guidance in the night. Garnet is actually a family of crystallised minerals, with 29 varieties. 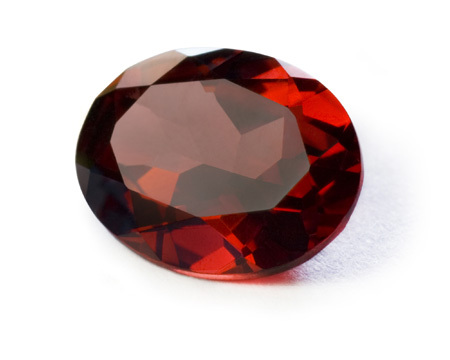 Although most people associate garnet with red, garnets actually come in every colour except blue. A durable gemstone, garnet ranges from 6.5 to 7.5 on the Mohs hardness scale. Coming in a beautiful pale lilac or deep purple shades, amethyst is the birthstone for February and also makes a perfect gift for Valentine’s Day. Amethyst comes from the Greek word ‘amethystos’, translating to ‘not drunken’; it was believed that amethyst protected you from getting drunk. Historically, only royals were allowed to wear this gem and it’s been found in royal collections around the world. A wonderfully romantic gem, it’s said that amethyst is the favourite gemstone of Saint Valentine, who had an amethyst ring carved with an image of Cupid. A perfect choice for Valentine’s Day. A symbol of peace, protection and tranquillity, amethyst is said to bring calm and serenity to the wearer. Composed of quartz, amethyst is formed through crystals in rocks and lava – getting its striking purple shades from irradiation, impurities and trace elements. 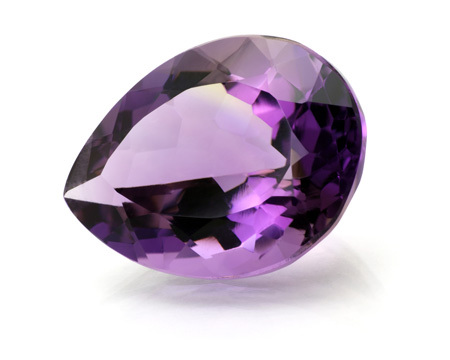 Amethyst has a hardness of 7 on the Mohs scale, meaning it’s durable. A beautiful blue birthstone for the month of March, aquamarine exudes the tranquillity of the ocean. Meaning ‘water of the sea’, aquamarine is quite literally named after the ocean. Historically, it’s been used by sailors to give them a safe voyage across the seas. 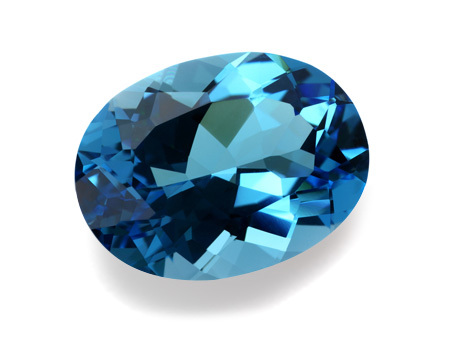 In the Middle Ages, it was believed that aquamarine was an antidote to poisons. Believed to keep you calm and peaceful, aquamarine is also associated with courage, loyalty and friendship. It’s used by healers to drive out negative emotions. Aquamarine is a type of beryl (the same mineral family that includes emerald), a rare mineral found in igneous and metamorphic rocks. Aquamarine has a rating of 7.5 to 8 on the Mohs hardness scale, so it’s a durable gemstone for jewellery. One of our favourite gemstones, diamonds are the birthstone for those lucky enough to be born in April. Derived from the Greek word ‘adamas’ meaning invincible, diamonds have been the traditional symbol of love since ancient times. Some ancient civilisations believed that diamonds were the earth form of lightning, and have been associated with many healing powers throughout history. Representing affection, eternity and everlasting love, diamonds are also believed to give you courage, strength and endurance. A type of carbon, diamonds are formed under high temperature and pressure conditions – deep within the earth’s crust. Diamond is the hardest mineral on Earth, with a tightly bound crystalline structure. 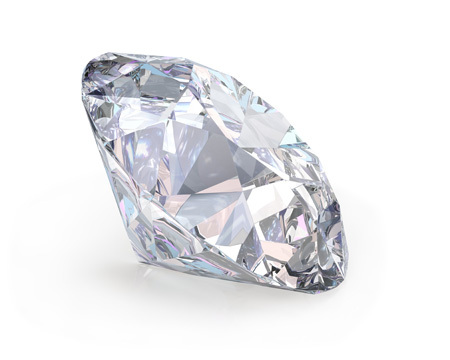 Diamonds rate the highest on the Mohs scale at number 10. Only a diamond can scratch a diamond, so it’s a durable piece of jewellery. One of the most highly prized gemstones, the birthstone for May is the emerald – a striking green stone and coveted amongst royalty. 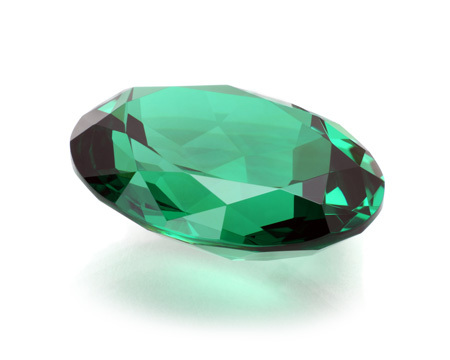 The name emerald comes from the Greek word ‘smaragdus’, meaning green. Originally sourced from mines in Egypt, this vibrant gemstone is known for being Cleopatra’s all-time favourite. She claimed ownership of every single emerald mine in Egypt during her rule. Signifying rebirth (which is perfect for this spring time of year), emeralds are also said to give you the power of youth, vitality and good fortune. Legends also state that emerald has healing properties. Like aquamarine, emerald is a variety of beryl. Its green colour comes from chromium and iron infiltrating its mineral structure during formation. Emerald is 7.5 to 8 on the Mohs scale, so it’s durable enough for jewellery wear. Adored for its pearly and iridescent lustre, pearls are also the anniversary gemstone for 30 years of marriage. June has two other birthstones; alexandrite and moonstone. Originating from the French word ‘perle’ which means led, referring to the leg shape of a mollusc shell, pearls were once thought to be the tears of the gods. A symbol of innocence, purity and faithfulness, pearls have also come to represent a happy marriage. Although still a gemstone, a pearl is not a natural mineral like other gemstones. It’s formed by living organisms; within oysters and mussels. When a foreign object enters their shell, the oyster will surround the object with layers of nacre – which forms the exquisite pearl. Natural pearls form naturally, whilst cultured pearls are the result of humans inserting the foreign object into the mollusc by hand. 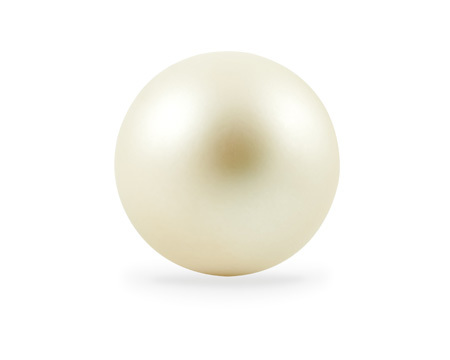 Pearl is ranked 2.5 on the Mohs hardness scale, meaning it’s soft and can be scratched. With the right care, pearl jewellery can provide a lifetime of lasting memories. Clean occasionally with warm, soapy water. Wipe pearls with a soft cloth after each wear. A fiery and passionate red, the birthstone of July, ruby, is also the anniversary gemstone for 40 years of marriage. Derived from the Latin word ‘ruber’, meaning red, this vivid gemstone was called the ‘King of Gems’ by ancient Hindus. It was believed that the glowing fire of rubies could boil water and melt wax. Said to protect you from misfortune and ward off evil, rubies are also seen as symbols of love and passion – making them a wonderful alternative to diamonds for an engagement or wedding ring. A variety of the mineral corundum and forming from metamorphic rock, rubies come in lots of colours, including blue – but you’ll know these as sapphires. Ruby is 9 on the Mohs hardness scale, a relatively hard gemstone with excellent toughness. 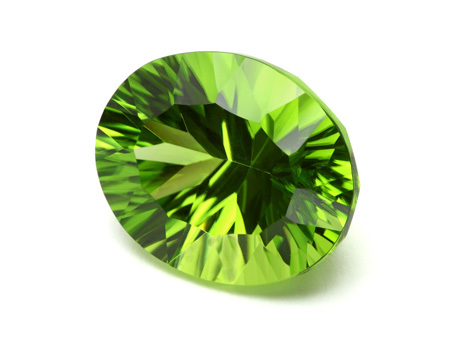 With a unique lime green glow, peridot is one of August’s three birthstones – the others being sardonyx and spinel. It’s one of the only gemstones that comes in one colour only, and it’s also known as the ‘Evening Emerald’ because its sparkling green colour doesn’t fade in darkness. In fact, it becomes more intense in candlelight. The origin of the name is unclear, with some believing its derived from the Arabic faridat meaning gem and some believing its rooted in the Greek word perdiona – meaning ‘giving plenty’. Ancient Egyptians called it the ‘gem of the sun’, and Egyptian priests believed it harnessed the power of nature. Peridot is associated with prosperity and good fortune, and in Hawaii it symbolises the tears of Pele; the volcano goddess of fire who controls the flow of lava. Formed deep within the earth, peridot is brought to the surface by volcanoes. Its signature green colour comes from the composition of the mineral itself – rather than trace impurities. This is why peridot is one of the few gemstones that comes in solely one colour (although the green shades may vary). A durable gemstone, Peridot ranges from 6.5 to 7 on the Mohs scale. A favourite of royalty, sapphires are also the gemstone for 45th wedding anniversaries. They became a symbol of love when Prince Charles proposed to Princess Diana with a sapphire engagement ring and, more recently, when Prince William proposed to Princess Kate with the same ring. Steal Princess Kate’s ring style here. Deriving from the Latin word ‘sapphirus’, meaning blue stone, Greeks wore sapphires for guidance, Buddhists believed it brought spiritual enlightenment and Hindus used it during worship. Sapphires symbolise loyalty, nobility and integrity, and it’s also said to focus the mind, encourage self-discipline and channel higher powers. A form of the mineral corundum (like the ruby), sapphires actually come in every colour except red – these are rubies. Corundum is the second hardest mineral after diamond, meaning sapphires are not only coveted in the jewellery world but for industrial processes too. 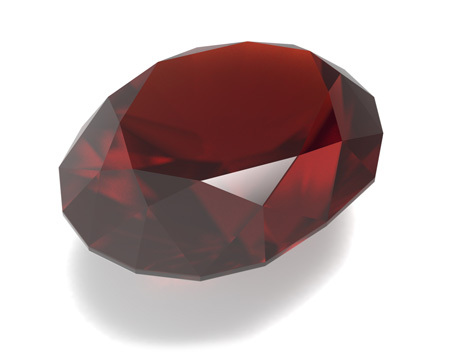 A relatively hard gemstone, sapphires measure 9 on the Mohs hardness scale - just like its close relation ruby. With changing iridescent tones, the opal is October’s birthstone. 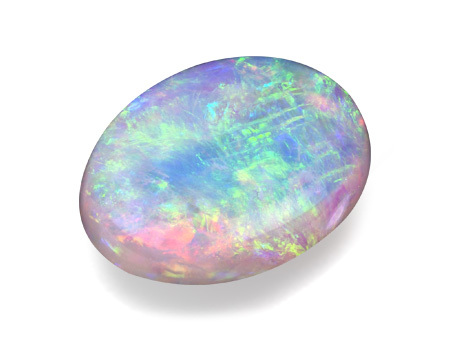 The word opal means ‘to see a change of colour’ in Greek. During the Middle Ages, Romans believed it was the most powerful because opal has the colours of all other gems with its rainbow iridescence. Said to enhance imagination and creativity, opal also symbolises hope, innocence and purity. Romans believed opals also brought good fortune. Opal’s signature play of colour is caused by millions of tiny silica spheres in different sizes. These spheres diffract light to display different colours of the rainbow. Opal’s hardness ranges from 5 to 6.5 on the Mohs scale. Care should be taken to avoid scratching, and the only safe way to clean opal is with warm, soapy water. 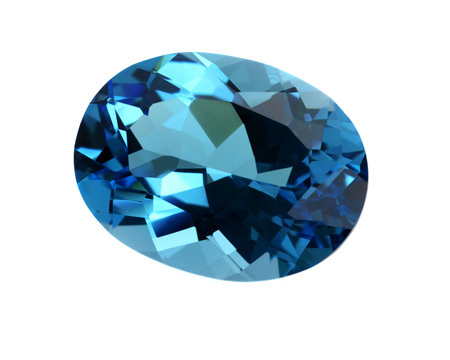 Coming in shades of brown, green, red, pink, yellow or blue, topaz is November’s birthstone – with blue topaz being the most popular in jewellery. The name topaz derives from the ancient Greek name for St. John’s Island in the Red Sea, where lots of yellow stones were famously mined there. Throughout its history, it was thought that all yellow gems were considered topaz and all topaz was thought to be yellow. The ancient Egyptians and Romans believed this gemstone had the power to protect and heal. It is also said to have calming and healing properties; stopping nightmares, cooling tempers and restoring sanity. Pure topaz is actually a colourless stone, with the different – such as blue - colours occurring due to chemical and element substitutions. Topaz has a hardness of 8 on the Mohs scale, making it a fairly hard and durable gem. Tanzanite is a magnificent gemstone found in only one part of the world; Tanzania. A relatively modern stone, tanzanite was discovered in the foothills of Mount Kilimanjaro in the 1960s – and it’s still only found in this one location today. 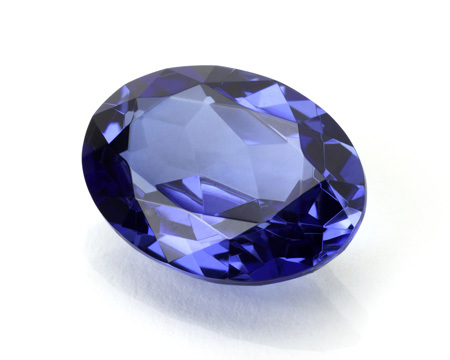 With its recent discovery, tanzanite does not have any historic meanings. However, with its limited supply and single location, tanzanite has become highly prized for its rarity and beauty - it’s actually rarer than diamond. Tanzanite is the exquisite blue variety of the mineral ziosite. Ranging from pale blue to a deep blue with violet undertones, the blue colour is caused by trace amounts of vanadium mixed with extreme heat. 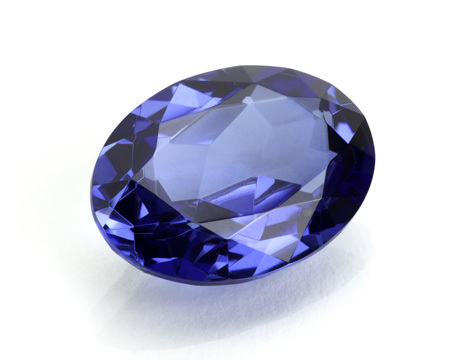 Tanzanite measures 6 to 7 on the Mohs hardness scale. Birthstones are actually historically linked to the zodiac, not the months; as there were 12 stones for the 12 signs of the zodiac during Roman times. Choosing a birthstone by zodiac is another way to find a personal and meaningful piece of jewellery for yourself or a loved one. We’ve listed the below zodiac birthstones, but there’s often alternative stones for each sign. Align your stars and heighten your powers with your zodiac birthstone. As with all precious items, you should take care to avoid scratches, sharp blows and extreme temperature changes. Also be careful with chemicals and prolonged exposure to sunlight. Examples of gemstones which can become paler after prolonged sunlight include amethyst, aquamarine, beryl, rose quartz and smoky quartz. Some gemstones are fairly porous and shouldn’t be submerged in water for too long, for example opal, pearl and turquoise. To clean diamonds, you can use warm, soapy water or you can use the Connoiseur Diamond Dazzle stick. Clean your birthstone with warm, soapy water and wipe with a soft, dry cloth. This is an effective and safe way to clean gemstones, as some jewellery cleaning solutions have chemicals which can damage gemstones. Don’t use jewellery cleaning solution with emerald, pearl, opal, coral, tanzanite, peridot and turquoise. Ultrasonic cleaners can also damage gemstones, so only use one when you know which gems it can safely be used on. Emerald, turquoise and pearl are a definite no-go.